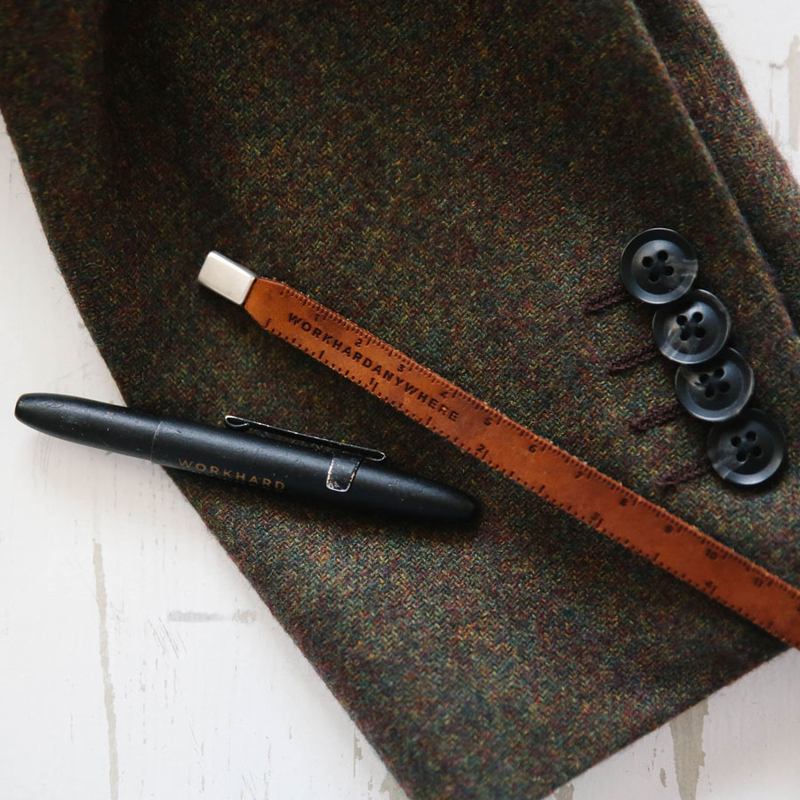 A stylish and practical handmade accessory. 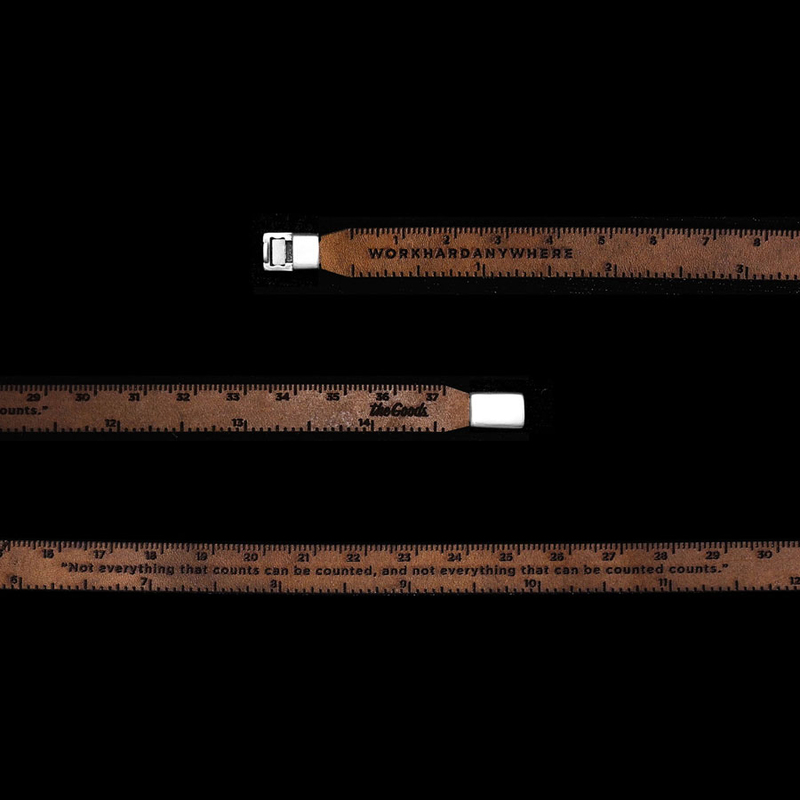 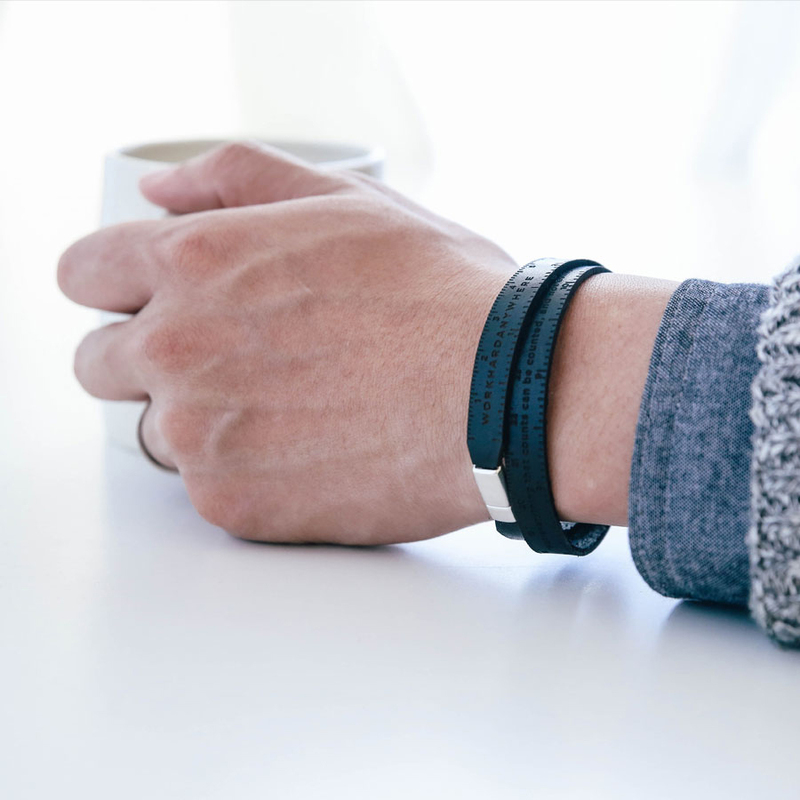 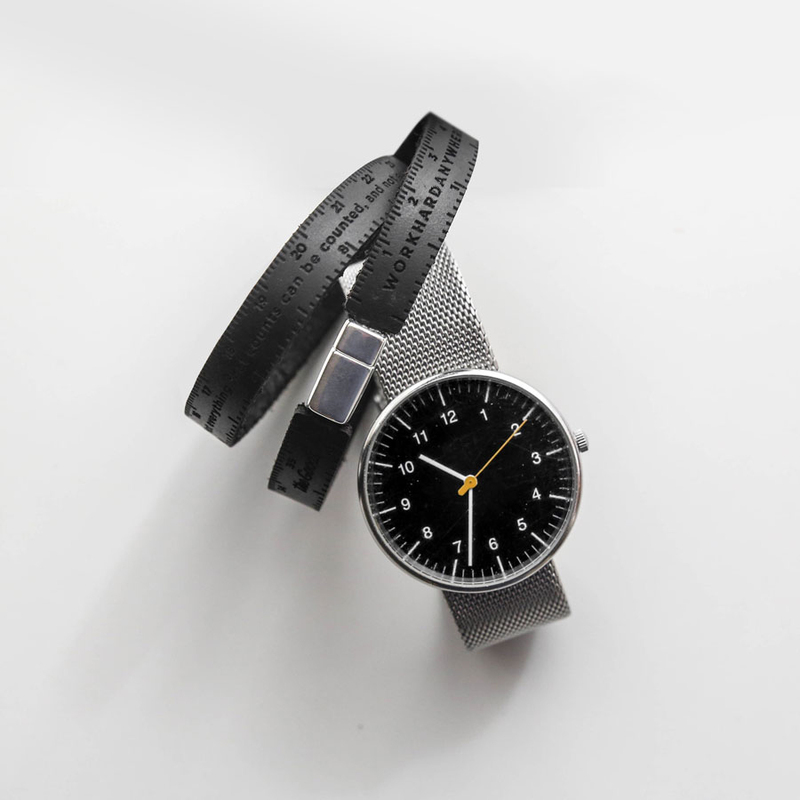 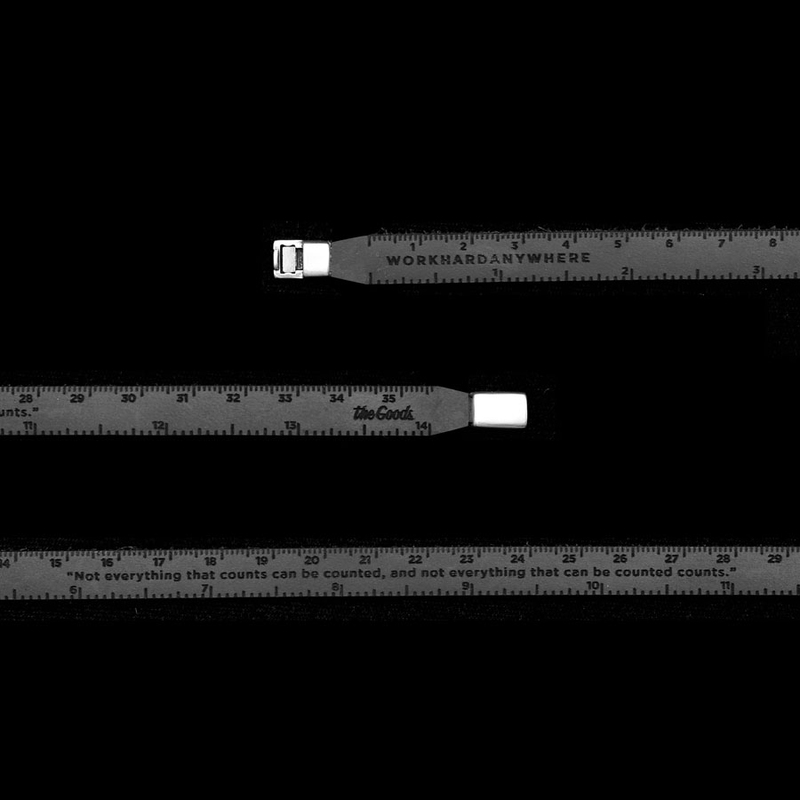 The Ruler Bracelet comes in 14″ or 16″ sizes and has both imperial and metric measurements. 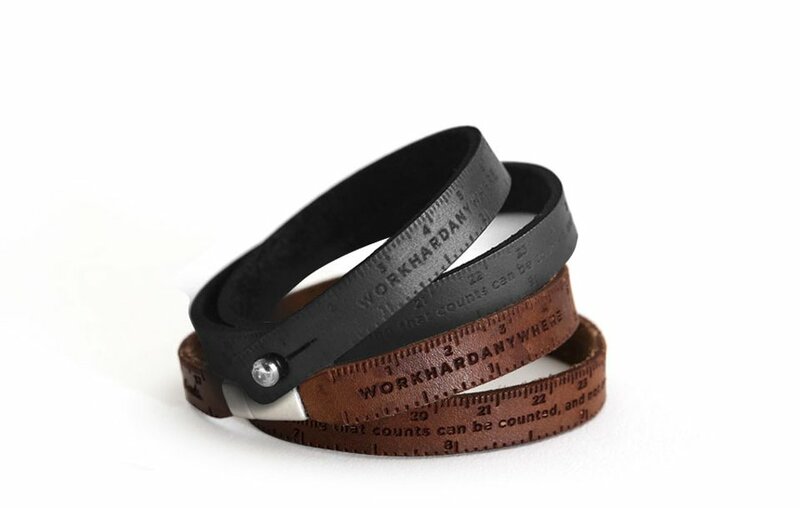 Choose from brown or black with a stud or a magnetic clasp. 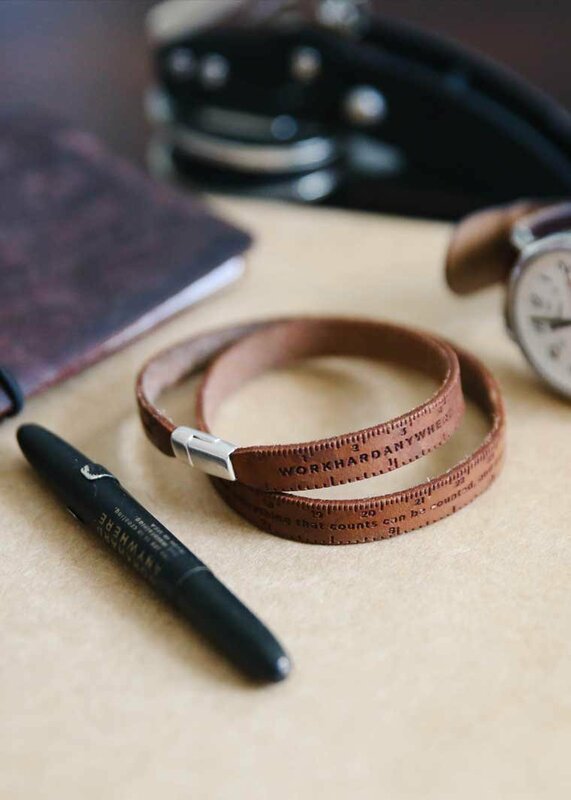 You can also pay extra to engrave up to 55 characters on it.